Lex Luthor's Dawn of Justice/Man of Steel 2 Plot Leaked? I say this first: if you don't want to know anything about the plot, potential or otherwise, to Batman v Superman: Dawn of Justice, SPOILERS ABOUND in this article. Tread carefully. A source inside the Dawn of Justice camp has leaked details about filming the Justice League prequel and talked briefly about the end of the movie and Lex Luthor's plan. As with prior reports on this film, take it with a grain of salt; these are possibilities, not certainties. At any rate, those SPOILERS I mentioned? They follow. 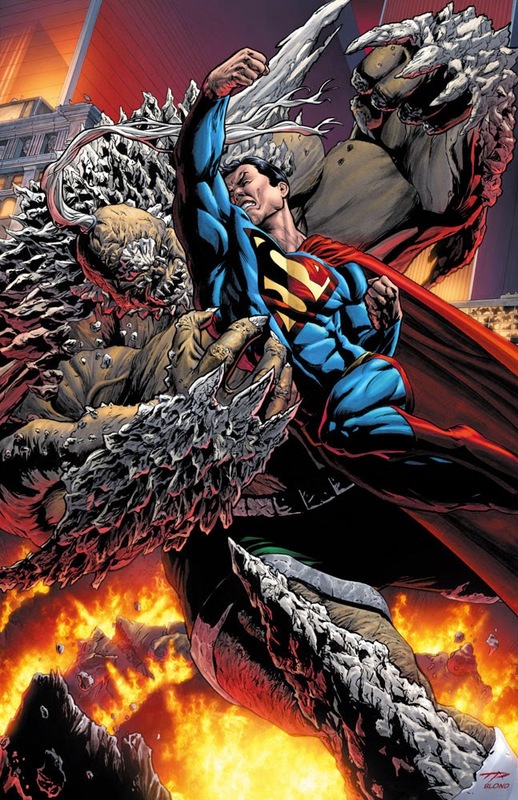 …plans that may or may not include using Zod's DNA to create a villain familiar to fans: Doomsday. Now, if the above is true, this movie has deeper ties to the Man of Steel franchise than originally thought. The more we heard about Dawn of Justice, the more it sounded like it had developed into part of the Justice League franchise, rather than the second installment of the Man of Steel franchise. The rumor of no new Man of Steel film until 2018 seemed to confirm the distance this movie was trying to create from its immediate predecessor, but if this film's plot really does set up a big piece of the next solo Superman film, Dawn of Justice occupies a more central space between the JL and Man of Steel franchises than we speculated. While we're talking about Justice League, it's worth mentioning that a version of the League is rumored to appear by the end of Dawn of Justice: Superman, Batman, Wonder Woman, Aquaman, Cyborg, and the Flash. The first bit of relevant rumor is that Scoot McNairy, cast recently in an unknown role, is playing the Flash. 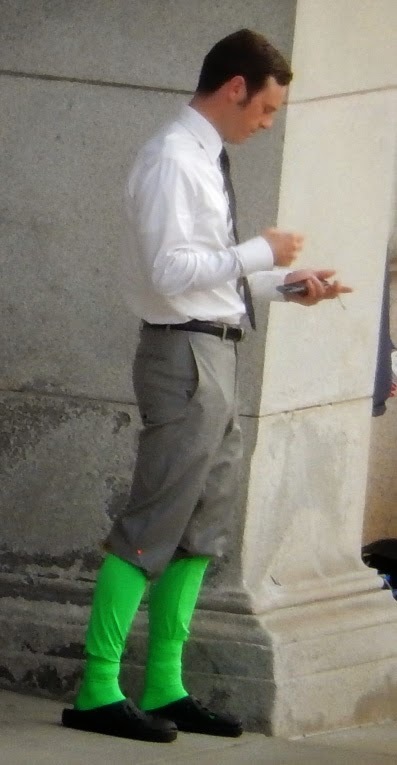 Set photos have appeared showing the actor wearing green-screen socks, and common conjecture hypothesizes this means his legs need CGI work—and which character's legs might need effects work done? Nothing is certain, but it's an interesting clue. We previously wondered which of a few other side-characters McNairy might play, but this is just as possible as any other role. Thoughts? Maybe it's just a fashion statement. The other notable thing about that particular Justice League lineup is that it excludes Green Lantern. A Flash/Green Lantern movie was a part of DC's rumored film release lineup that came out a few weeks ago, but it sounds like the Justice League movie would serve as an introduction to the character, which makes some sense. Green Lantern is a cosmic, big-picture character, and the threats he deals with (or could bring to Earth) would be good reason to assemble the talents of the Justice League. By this point, also, Shazam will have debuted and would likely be a part of the League. Dwayne “The Rock” Johnson is said to have his choice between playing Shazam or his nemesis, Black Adam, the role to which he was rumored to be attached for a number of years. Batman v Superman: Dawn of Justice is gonna be jam packed, that's for sure. Think this sounds like a Luthor plot? Think it's a good way for the films to go? Talk about it in the comments below.